Michael “Smidi” Smith is an Emmy, Clio, Telly and Addy Award winner who has produced and written songs that have sold over 14 million copies worldwide including multiple #1 songs, albums and top tens. Smidi has worked with Coldplay, Sia, Ke$ha, Britney Spears, Kelly Rowland, the Pussycat Dolls, One Republic, Tyrone Wells, Paramore and others. In 2014 and 2015, he received Emmy Award nominations for Best Original Song. Also, in 2015 Smidi produced Giorgio Moroder’s solo album Déjà Vu, which was a Billboard #1 album, and produced #1 singles for both Sia and Kylie Minogue. In 2013 the Recording Academy asked Smidi to produce a live artist series at his studio in Venice, California called “Grammy ReImagined.” For the web series, Smidi produced live performances with Paramore, Big Boi from Outkast, TJ Stafford, Milo Greene, Eric Benet, Lyfe Jennings and Chris Young. Smidi has also has written and produced music used in ads for Budweiser, Kellogg’s, Coke, NBC and others ultimately winning an Emmy Award for his music package and theme song for the WB network. Additionally, his original music has been licensed in several Apple commercials, including worldwide music licenses for iPhone and iPad. 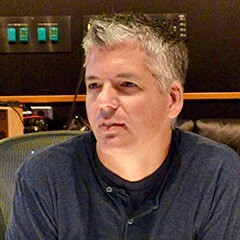 He has also written and produced music for several NBC shows, including The Voice, 30 Rock, The Office, Up All Night, Grimm, Parenthood, Parks and Rec, Meet the Press, Law and Order SVU, Bubble Guppies (Emmy Nomination) and Paw Patrol (Emmy nomination). Smidi and his wife, Julia, have three young children and live near the beach in the South Bay.